civil servants from state, Central governments including local bodies, Panchayats and Zilla Parishads etc. For the year 2013-14, the last date of nomination is October 17, 2014.
e) Extraordinary performance in emergent situations like floods, earthquake etc. f) Setting high standards of services and continued improvement, showing high leadership qualities and improving employee motivation etc. But, as the officers need to do such duties as part of their official mandate, they would be worthy of consideration for the award only if “the initiative(s) and accomplishment(s) is/are truly innovative, extra-ordinary, outstanding, exemplary and/or exceptional”, according to the guidelines for the award. Significantly, self-nominations, and nominations that are not of serving civil servants and also nominations of organizations not involving serving civil servants would be rejected. But, if a nominated government servant superannuates after submitting the application, he/she shall not be excluded from receiving the award for the “Individual” and “Team” category. In case of death of a nominated officer during the evaluation process, the award would be given posthumously and the award money would be given to the nominee of the deceased person. 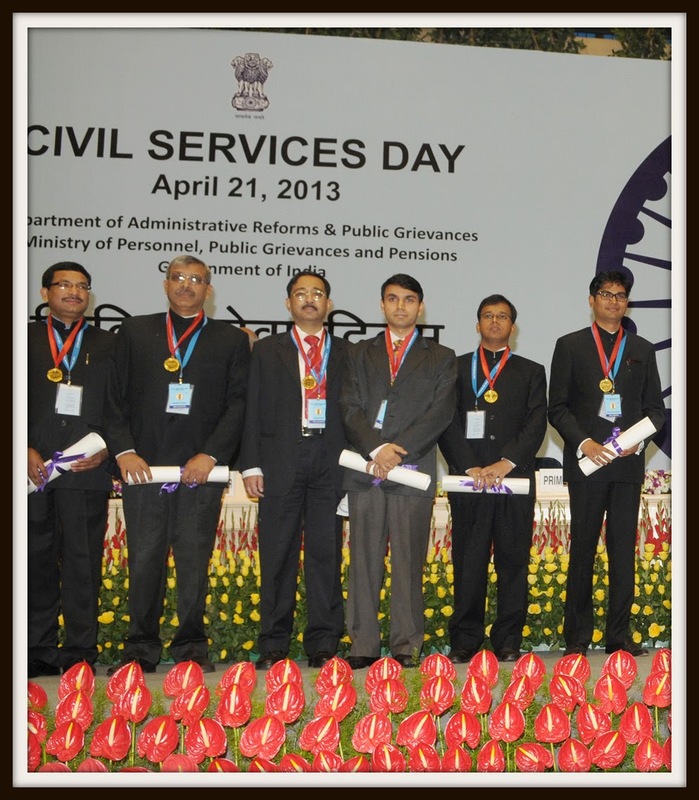 This award scheme began in 2006-07, and the first such award was presented on the Civil Services Day i.e. April 21 in 2008.
kaam kiya faujiyon ne aur award hanmare..BABUon ko....Dhanya hai bharat mata...!!!! BoI should throw some light on inefficiency of all the bureaucrats including the police in J&K. I am amazed that not a single write up came up on failure of administration in Kashmir. May be its because, bureaucrats never like to accept their mistakes. May be its time to punish those responsible for this complete failure for administration and those who left common men to die to save their near and dear ones first.